For the full eco experience, we’ve picked our top eco retreats in nature reserves, from the Costa Rican jungle to the Queen of the Hebrides. These stunning getaways are where a careful and conscientious approach to the environment coincides with some of the world’s most beautiful and unspoilt scenery. 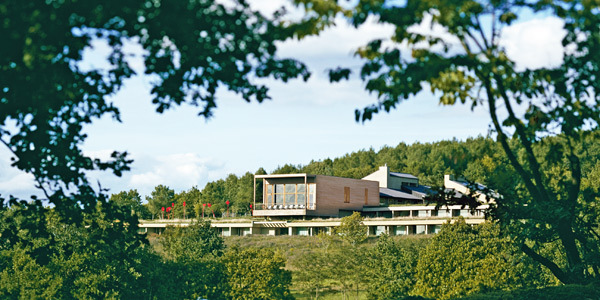 With its clean minimalist architecture and chic interiors, this French spa hotel may not be the most obvious eco-friendly retreat, but in reality its commitment to the environment is nothing short of astounding. Grass roofs, natural insulation, solar panels and non-toxic mineral-based paints are just the beginning. In the sleek and spoiling rooms you’ll also find natural water filtration and organic toiletries, plus there’s an on-site kitchen garden. All of this sat within a 25-acre nature reserve abuzz with wildlife, flower-filled meadows and wooded valleys. They’ve even joined forces with the United Nations Environmental Programme to plant a tree for every guest – local conscientiousness with global implications. 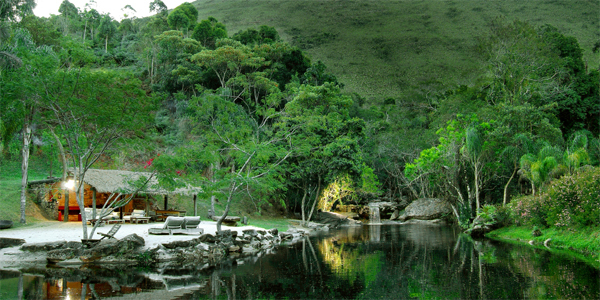 Few tourists know of the hidden 18th-century farmhouse at the heart of a 3,000 hectare private reserve in Minas Gerais. As a result, those who do make the journey off the beaten track, 3.5 hours north of Rio, are rewarded with an achingly beautiful wild environment, fabulous local fare, and a sublime hotel which treats guests like royalty. With a strong focus on the environment, wildlife and flora, this 14-room boutique hotel reuses and recycles as much as possible while also focusing on organic products. The hotel runs several community projects and was primarily set up as a social venture to provide a sustainable source of income for the community; 100% of the staff are local. 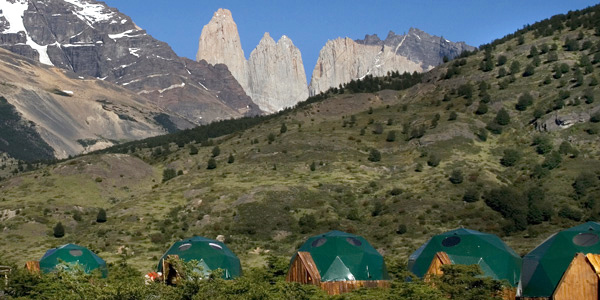 This carbon neutral collection of domed tents in Torres del Paine National Park has some of the best eco credentials we’ve encountered. The whole camp is designed to have minimal impact on the environment: power comes from renewable sources, the insulated domes are on walkways to reduce the impact of foot traffic on the ground, and all waste is recycled or composted. 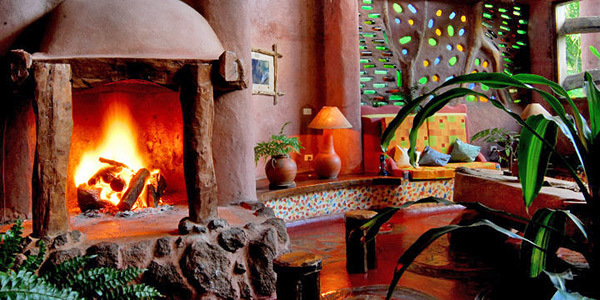 The domes themselves feel spoiling and spacious with wooden floors and sheepskin rugs, plus all of the furnishings and decorations were produced locally by artisans. However, it will always be the spectacular, rugged mountains and breath-taking landscape that draws your attention here. Though not strictly a nature reserve, this collection of buildings in Crete’s stunning White Mountains has undergone a process of reinvention and preservation. These traditional Cretan shepherd’s homes were left abandoned for years until 2 eco-minded locals decided to breathe new life into them. They reintroduced livestock, cultivated organic produce on the land, piped in stream water and installed solar electric panels. The result is an utterly charming rural idyll hidden in the folds of the dramatic lunar-like landscape of the mountains; with no TVs or internet, it’s a true escape from the outside world. 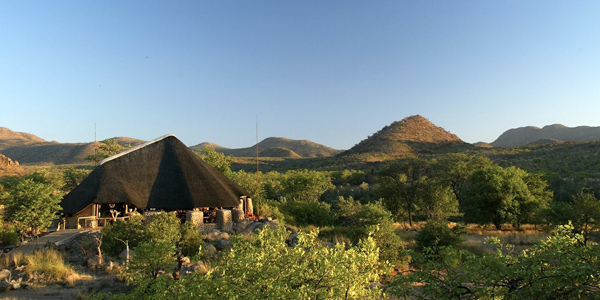 Huab Lodge’s commitment to the environment and the wildlife of Nambia has been recognised with 3 flowers from the prestigious EcoAwards. Their conservation work is nothing short of admirable: owner Jan Van de Reep helped create the 8,000-hectare Huab Nature Reserve in order to provide ample living space for area’s so-called ‘desert’ elephants. At its heart is the 8-bungalow family-friendly lodge where guests can take safari drives and learn about all about Huab and its goals. Electricity comes from solar panels and profits are ploughed back into conservation projects. The landscape is bewitching and, with a number of friendly local staff keen to help you enjoy your stay, there couldn’t be a better location to enjoy it from. Tucked away on the beautiful Oa peninsula in the south of Islay – the ‘Queen of the Hebrides’ – is Coillabus, a collection of understatedly luxurious eco-lodges for 2-4 each with a private hot tub and sauna. 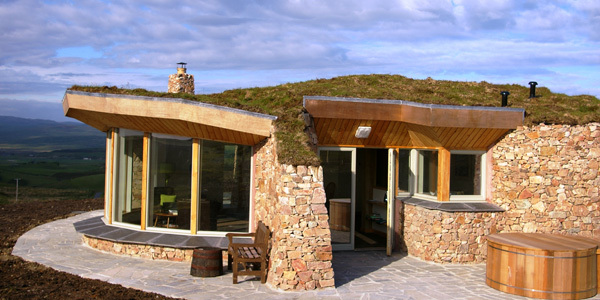 The presence of these fun features doesn’t negate their eco credentials though: the lodges are made of local stone and grass, and there’s UV-filtered spring water, vintage re-used and re-cycled Ercol furniture, energy-efficient appliances, and building insulation made from sheep wool and recycled plastic bottles. Outside there’s a 7-mile isolated beach, the Sound of Islay, and the RSPB bird reserve – the perfect place to teach the kids about the great outdoors. These wonderfully secluded houses are embedded in an Eden-like wilderness beside the woodland and lakes of Sri Lanka’s ancient heartlands. 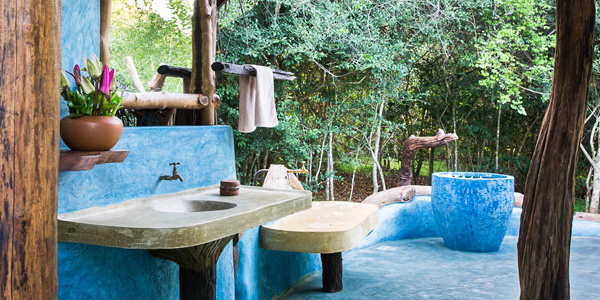 There’s a refreshingly humble simplicity to them: each ‘mudhouse’ is in fact a cluster of simple, open-sided huts made of wattle and daub, with thatched roofs, dining/meditation areas and outdoor showers. This is a proper back-to-nature experience with its own organic farm, a commitment to composting waste and only one solar-powered source of electricity – think ‘luxury camping’ and you’ll soon feel utterly at home. 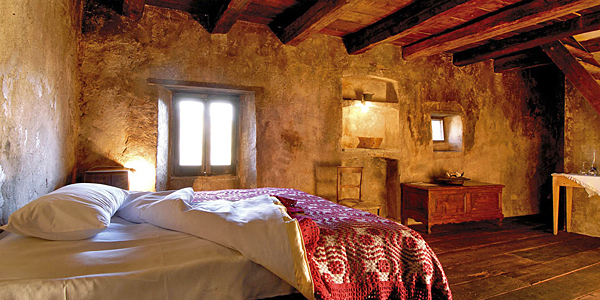 This collection of restored cottages wears its history on its sleeve: with a heavy iron key in hand you enter a room of rough stone walls and uneven floors where the deep fireplace is blackened by soot. 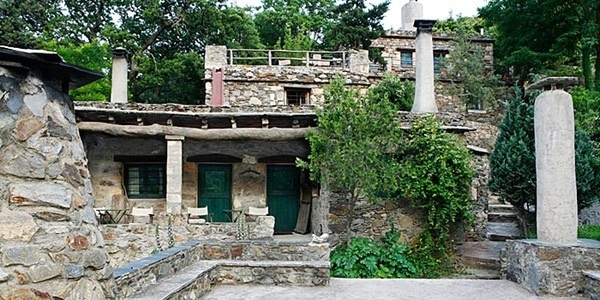 The effect is intentional, the designers are engaged in a long-term preservation project which has seen them restore the buildings with natural materials, and forge an agreement with the National Park and local council to preserve the town and maintain its association with the countryside. With local staff, artisan workshops and a fantastic restaurant making traditional favourites with local organic produce, the commitment appears well and truly honoured. 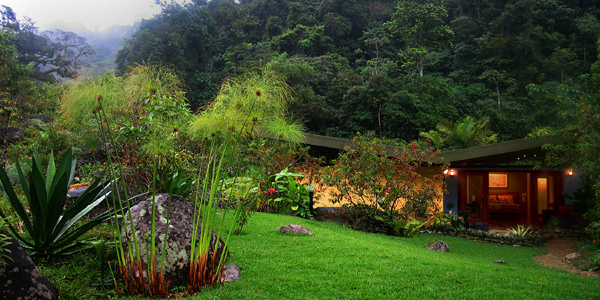 Secluded in 100 acres of Costa Rican Cloud Forest, these 4 stylish casitas are a perfect retreat for honeymooners looking to escape from it all. Impressively, the hotel is certified by the Zeitz Foundation of Germany as 1 of only 2 places in the world to be recognised as world leaders in sustainable tourism and a tree is planted for every visitor to the reserve. Much of the food grown on the plot (80% of which is a nature reserve) feeds its guests, including coffee and delicious creamy goat’s cheese.